Hello, my name is Doug Wills, scroll #77. I was one of the Omicron Pledges. My pledge name was Gomer (Thanks a lot Mike Castagnola for recently reminding me of that…). I graduated with a Mechanical Engineering Degree in the summer of 1988 from Buffalo State. There is a lot that I’ve forgotten but there were some real good times had that I will never forget while I was a Teke at Buff State. Like the Otis Day concert and everything that followed the next 12 hrs. or so, and who could forget the weekend at Allegheny State Park while I was a pledge. I was married in the summer of 1987 to Stacey. After I graduated, we moved to Jamestown NY and my first real job was working as a Product Engineer for Blackstone Corp. Soon after we moved into our first house we had our one and only child, a Son named Matthew. We’ve moved between NY, Pennsylvania, and Michigan about 15 times, finally planting our feet firmly in Brighton Michigan, a suburb of Detroit. 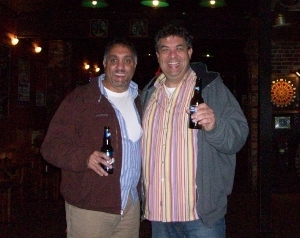 Funny story, I actually ran into Ken Chassin in the old Detroit airport once while we were both traveling for work. He was hopping down out of a shoeshine booth and I recognized his voice as I was walking by. Small world! I’ve worked for the same company now, Thermal Dynamics Corp., for over ten years making my way through the ranks to my current position of Vice President of Engineering and Sales. My job continues to take me all around the country and around the world but I enjoy most of my time-off in Upstate NY. 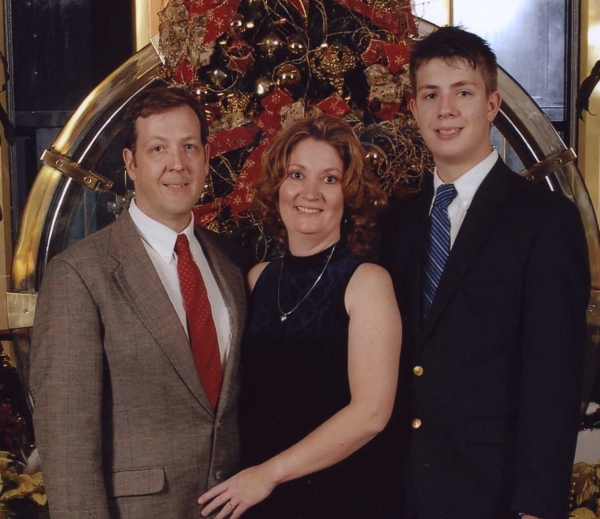 Our Son is 6’8” now and is in his second year of College at Grand Valley State University studying Criminal Justice. After he finishes his Bachelors degree, he plans to go to a police academy so he can qualify to be State Cop. He was fortunate enough to get Stacey’s brains and is doing real good. Thank goodness he didn’t take on any of my bad habits! 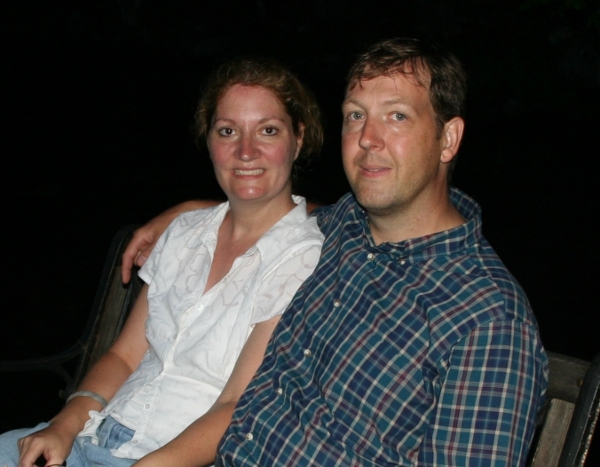 About 5 years ago, my Wife and I bought some property on Seneca Lake and then shortly afterwards bought an old Victorian home just a few miles from the lake property. We have been “bringing her back to life” so I guess you could say that has been my main hobby lately. Now we stay there during the summer and holidays and finally get to enjoy the lake and the wineries that are in the Finger Lakes Region. Stacey is an Elementary School Teacher and has the summers off so she spends all of her warm-weather time there and I come in for quick visits when I can. It actually keeps our marriage strong, I feel like the Milkman! I still love to ride motorcycles although my off-road riding/racing days are over. I’ve been fortunate enough to ride with a lot of NASCAR celebrities and have been able to help raise money for the Victory Junction Gang Camp for many years. 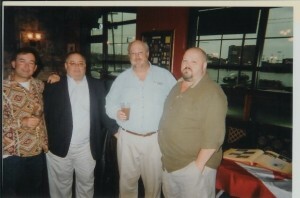 Back in 2003 I rode from Mooresville NC to Milwaukee during the Harley Davidson 100th anniversary with a bunch of guys. Our company designs and manufactures all the oil coolers Harley Davidson so they treat me real special. This is the part of my job that I really love. I was really looked forward to the Alum. weekend that’s coming up but unfortunately I’ll be leaving that same weekend on a trip out of the country for work. Next year I’m going to make an effort to catch up with as many of you as I can and maybe even attend a meeting at school. The date, place and time is set, all we need is you. Set aside October 16, 2010 for this years event. More details to follow. $25 Great food, Beer, Raffles. We might even throw in a ritual event that afternoon. Anyone that can donate stuff for the raffle please contact Tommy. 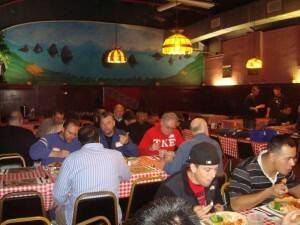 Everyone chowing down... Great Food, Great Time!!! 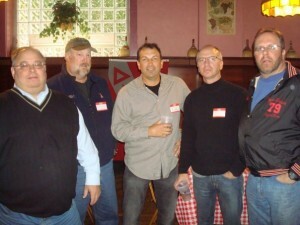 In this photo: Four Past Prytani, Tom Muscarella, Tom Mayer and Tim Hastings in the front and Ken White in background. Mike Castagnola #69, graduated from Buffalo State College in December 1987 with a Bachelor of Science in Criminal Justice and Sociology. 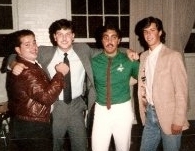 Mike pledged TKE at Buffalo State in the Fall of 1985, Nu pledge class, after transferring from Nassau Community College. During his tenor as an active member, Mike was always very dedicated to the chapter as he was honored to hold such positions as Histor, Hypophetes and Epi Prytanis during every semester while he was an undergrad. 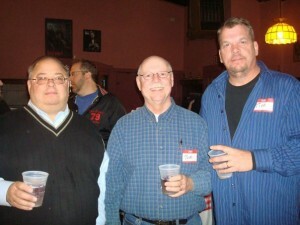 Mike was also honored to have two little brothers, Rich Henn and Dave Jones. However, his closest lifelong friend is the legendary Warren Klein. 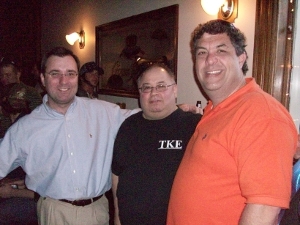 Mike has two TKE legacy’s, his nephews, Phillip Cusumano, Pi Mu and Tom Lindner, SUNY Albany. Almost immediately after graduation from Buff State, Mike started his career with the Department of Justice, Bureau of Prisons, as a Correctional Officer in Danbury Connecticut. Over the next twenty-three years, he has accepted several promotions and advanced to higher levels of responsibility. Mike, now is the Case Management Coordinator at the United States Penitentiary in Allenwood, Pa. He is looking forward to his possible retirement in 2013 after twenty-five years in federal law enforcement and then onto the next career ! Whenever you speak with Mike, he never hesitates to tell you about his two wonderful children, Theresa, 20 and Maria, 17. Theresa is a junior at St. Johns University in Queens, New York and Maria is a high school senior/college freshman as she is enrolled at Bloomsburg University in Bloomsburg, Pa. Mike is extremely proud of his daughters and can only hope that they grow up to be as happy in their lives as Mike is in his. 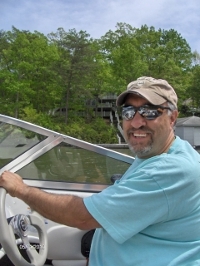 Several of Mike’s hobbies consist of working on his house, traveling, classic cars, boating, maintaining friendships and watching the Yankees! 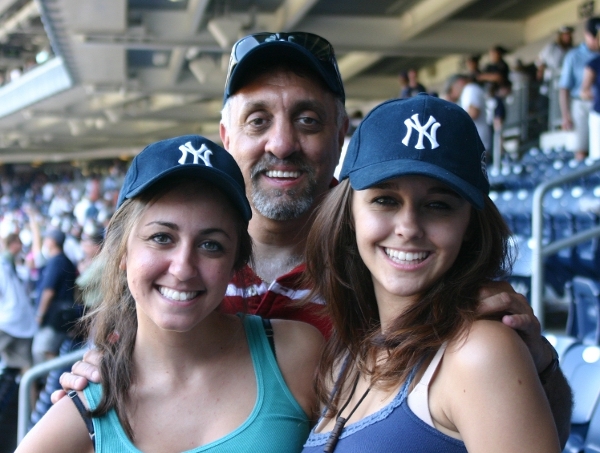 Mike at Yankee Stadium with his daughters. 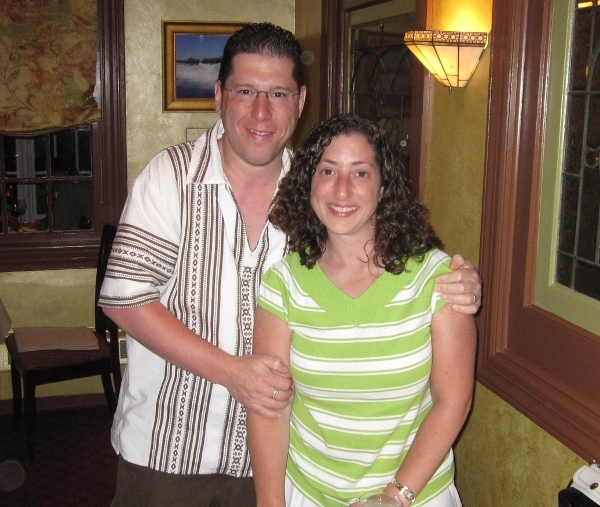 Mike has lived in Lewisburg, Pa. for the last nineteen years, however, he never forgets his roots as being from Bayside, New York and Valley Stream, LI. and will always consider himself a New Yorker ! Mike will always acknowledge that TKE was the best part of his college life ! Mike reflects that “The friendships and fun were never ending. Pledging was crazy and I thought it was never going to end. Everything we did was a blast ! Even the meetings were filled with jokes and laughing !” Mike appreciated the focus on academics, proper diet and exercise during pledging and remembers acting “silly” alot… mostly due to something dumb Jon Somonian, one of my pledge brothers, had said to an active. Mike initially pledged TKE because he liked the jackets, never knowing what excitement was to come ! 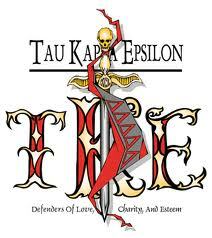 One of his favorite college motto’s is TKE FOR LIFE ! 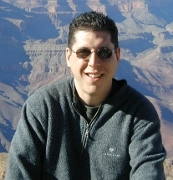 Russ Colchamiro was a member of the Phi Class Fall 1989. 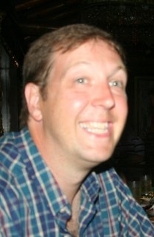 He was an active member, including one year as the chapter’s Treasurer. He graduated with a B.S. in Secondary English Education. After his student teaching days in Buffalo, Russ traveled throughout Europe — including his final semester abroad in Manchester, England — and upon his return launched a career in the media. He spent several years as a medical journalist and editor, and after launching a consultancy, returned to the magazine business as the Executive Editor of Commercial Property News, covering the commercial real estate industry nationwide. Since then he made the switch to public relations and corporate communications. He worked in-house for CB Richard Ellis, the world’s largest commercial real estate services firm, and now as a key executive with a specialty communications firm, represents several real estate companies, including Colliers International, the world’s third largest real estate services organization. Russ is married to Liz, and has twin babies, Nathan Andrew and Abby Hannah, who were born in August 2010. He also has a fun-loving dog named Simon who looks out for the twins as if they were his very own. They live in Forest Hills, Queens. Russ is now set to launch his first novel, the humorous sci-fi romp Finders Keepers. 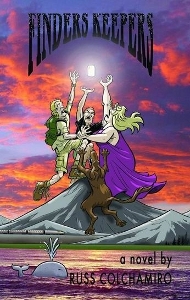 For fans of goofy science fiction and fantasy classics such as Hitchhikers’ Guide to the Galaxy and Terry Pratchett’s Discworld series, plus TV shows and movies such as LOST, Quantum Leap, Eureka and The Big Bang Theory, Finders Keepers mixes comic-book style and chapter-to-chapter cliffhangers with humor, pathos, outrageous characters and time-bending, galaxy-twisting pratfalls. On a backpacking trip through Europe, New Yorker Jason Medley and New Zealander Theo Barnes stumble through hash bars and hangovers; religious zealots and stalkers; food poisoning and thunderstorms; cute girls; overnight trains—and the specter of adult responsibility! But when a jar of the Universe’s DNA falls from Eternity, these new friends find their loyalties put to the test … unaware that a motley crew from another realm is chasing them across the globe, with the fate of the Milky Way hanging in the balance. For more about Finders Keepers, visit www.RussColchamiro.com, where you’ll find almost a dozen character illustrations and the history of those characters, plus a Q&A about Finders Keepers, how the novel came to be and his partnership with the publisher and cover artist, award-winning comic book creator Rich Koslowski. Published by 3 Finger Print, Finders Keepers will debut at the NY Comic-Com October 8-10 at the Jacob Javits Center in New York City, and will be available for sale online through 3 Finger Prints. Pi Mu days were the Best times, I wish I was still there to pass the gavel. COL Abraham S. Conn was commissioned through the ROTC at Canisius College in May 1987, where he first entered the United States Army. COL Conn entered the National Guard in April 1989. COL Conn is a graduate of Buffalo State College with a Bachelor of Science Degree in Criminal Justice. COL Conn was originally branched as a Military Intelligence Officer. He has attended the Military Intelligence Officer Basic Course, Quartermaster Officer Advance Course, Captains Career Course, Command and General Staff Officer’s College and the Pre Command Course. COL Conn is a current graduate of the Army War College, where he was awarded a Masters Degree in Strategic Studies in July 2010. COL Conn has held the duty positions at the Platoon, Company, Battalion, Brigade, Division, Corps, and Joint Staff levels including Tactical Intelligence Officer, Aide de Camp, Infantry Platoon Leader, Infantry Executive officer, Petroleum Supply Officer, Subsistence Officer, Quartermaster Company Commander, General Supply Officer, Support Operations Officer, Logistics Officer, Executive Officer and Battalion Commander. COL Conn has also completed two, 1 (one) year deployments to Afghanistan in support of Operations Enduring Freedom. COL Conn’s awards include the Bronze Star Medal, Meritorious Service Medal 2nd Award, Joint Service Commendation Medal, Army Commendation Medal 2nd Award, Army Achievement Medal 2nd Award, Army Reserve Component Achievement Medal 5th Award, National Defense Service Medal 2nd Award, Afghanistan Campaign Medal, Global War on Terrorism Expeditionary Medal, Global War on Terrorism Service Medal, Armed Forces Reserve Medal, Army Service Ribbon, Army Overseas Service ribbon, Army Reserve Component Overseas Training Ribbon 2nd Award, NATO Medal for Service in Afghanistan, Florida State Distinguished Service Medal, Florida State Active Duty Ribbon, New York Long and Faithful Service Medal, New York State Counter-Drug Service Medal and the Mississippi Emergency Service Medal. COL Conn is also the recipient of the Joint Meritorious Unit Commendation, the Meritorious Unit Commendation, and the Governors Meritorious Unit Award 2nd Award. 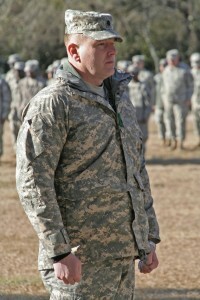 COL Conn is currently the Commander of the 930th Army Liaison Team in Homestead, Florida. COL Conn resides with his wife Mindy in Sugarloaf, Florida. They have two children Emily and Joshua.